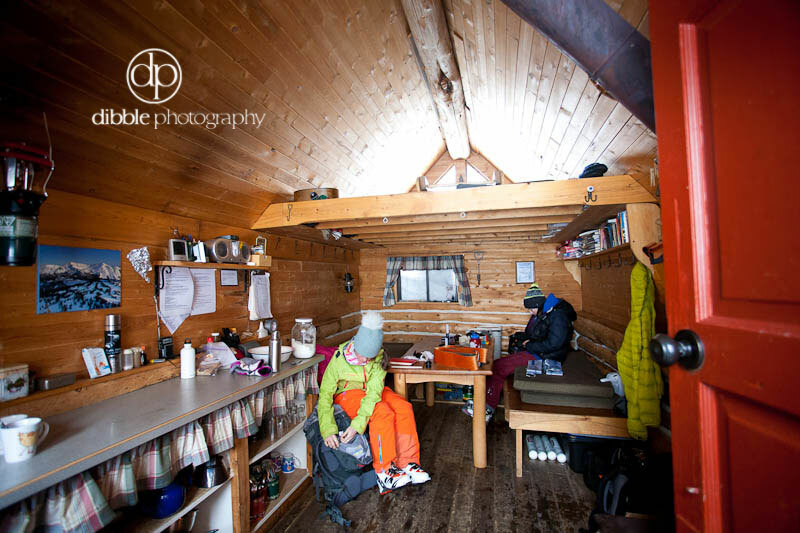 Last March I heard through the grapevine that a writer/skier team of chicas was looking for a last-minute photographer to join them on a mission that involved trains, sleds, and skis. This kind of gig, although not what I normally do, was entirely worth making myself available. 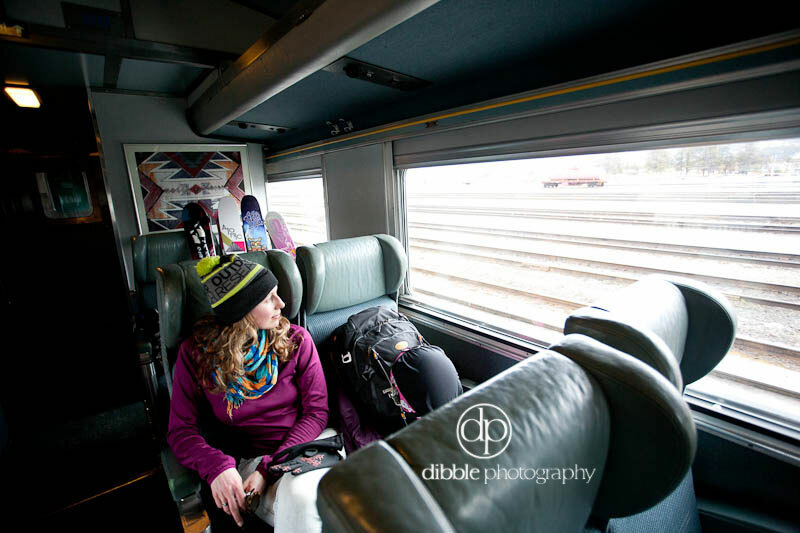 I ventured off to Jasper to hop the VIA Rail with Brigid Mander and Molly Baker. We were let off the train at somewhere near mile marker 98, met by Kevin of Bearpaw Heli-Skiing. 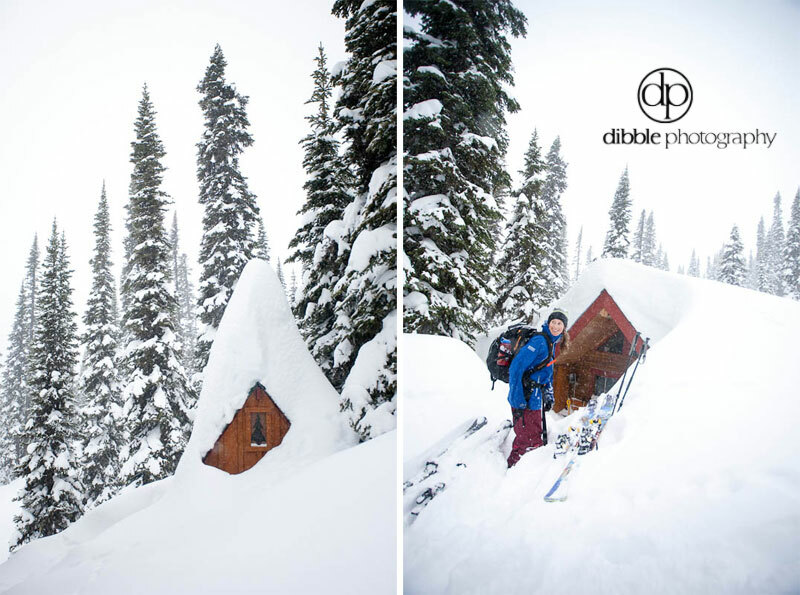 He lined us out with some sleds and led us to the tiny touring cabin he helped build back in the day. We spent a night under the roof of the snowed-in cabin and did some touring nearby. Saw wolverine tracks. Skied some powder. 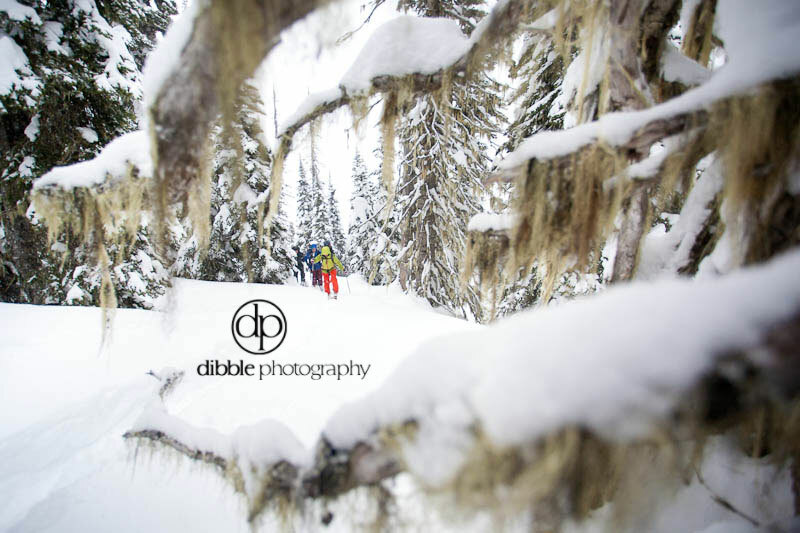 When it was all said and done, Molly and Brigid continued on toward Smithers via train to meet up with their friend and wicked ski photographer, Re Wikstrom. I came home and promptly forgot to do much of anything with the photos from this first leg of their journey. 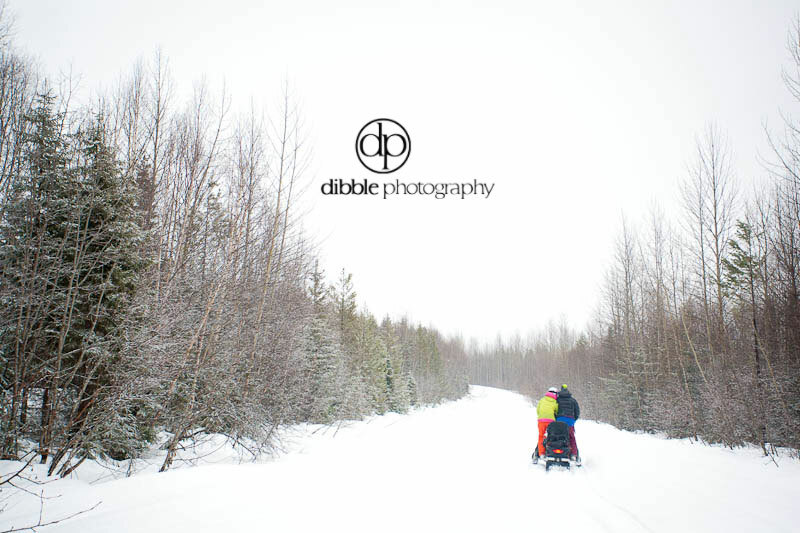 Now that the snow is flying again, it seemed appropriate to sift through these shots. That's Kevin sitting on the front porch of the cabin shortly after it was first built.